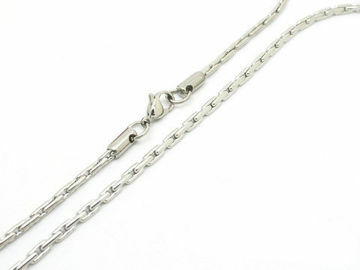 This chain is silver color plated with lobster claw clasp 4-side oval link. This model is just the chain, without pendant, you can wear it alone or match any pendant you like. Customizing logo is warmly welcomed.